Heroin is a frequently abused, illegal drug. A member of the opiate family, it’s extracted from the poppy plant opium and produced from morphine. Heroin addiction is a widespread disease that claims thousands of lives every year, and it’s only getting worse, as many people use heroin as a last resort drug to feed their prescription painkiller addiction. In the past few years, nearly 80 % of people attributed their heroin use from prescribed opioid use. Therefore, prescription opioid use may increase the likelihood of an individual in developing heroin addiction. For those suffering from heroin addiction or you know someone who is, it’s important to seek help as soon as possible. Heroin is known by many names, such as diacetylmorphine, diamorphine or smack. Heroin is usually mixed or “cut” with other narcotics and substances like powdered milk, starch and sugar. It can also be cut with poisons such as strychnine, only highlighting the dangers of taking heroin. Heroin is a difficult drug to stop using, quitting, however, is possible. 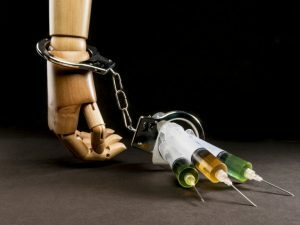 Heroin detox is never the same for any two people, most heroin detox programmes usually, take five to seven days for the body to filter out any remains of the drug entirely. In cases of heavier heroin abuse, detox can last up to 10 days. Going through heroin withdrawal is tough. While the highs of heroin are extreme, so are the symptoms that follow the cessation of heroin use. The longer someone uses heroin, the more the drug is built up in their system, making detox all the more complicated. Inpatient detox is highly recommended because patients will always have medical assistance on standby in the case of an emergency. Treatment of addiction can cover many areas. Ranging from behavioural therapy, which through counselling can address someone’s deep-rooted, psychological issues to get to the heart of the problem. There is also what is called a chemical cure or pharmaceutical treatment, which helps the person fighting addiction with medication, such as methadone, buprenorphine or naltrexone. Methadone is considered the most common substance in the treatment of heroin addiction, a chemically synthetically manufactured opioid acting on the opioid receptors; it has had excellent clinical results. Experts say it can successfully block the effects of the drug for 24 hours, making methadone a critical component in heroin detox and treatment. Buprenorphine is an opioid purchased under the brand name Subutex, which is considered an important new tool in the treatment of heroin addiction. With Naloxone being used in case of overdose. There is a mistaken belief that detoxification and rehabilitation are the same things. While detox, or the act of getting off of heroin, is a vital step in rehab if someone goes through detox instead of rehab for heroin addiction they are more likely to relapse. Treatment typically involves multiple phases of therapy including detox, medication maintenance, therapy, and a person-centred treatment plan which are all essential tools necessary to help a personal battle against heroin addiction. It is essential for a person to detox and undergo a rehab if they genuinely want to recover from heroin addiction. Those wishing to be free of addiction and deciding on treatment can choose to receive help in a drug and alcohol rehab clinic. In a secure and isolated surrounding, a full medical detox can be provided. Addicts can be under the care of high skilled counsellors, therapists, doctors and medical staff, employing proven tactics to get to the core of their addiction as part of a personalised treatment programme. They will undergo withdrawal from the medication for a short period of time until it is cleansed from their system. This form of detox can take from 10 to 14 days, and the patient receives a high level of sedation to reduce their withdrawal discomforts significantly. Those wishing to free themselves from addiction can also be offered behavioural therapy. Practitioners customarily concentrate on environment, background or learned behaviour to treat psychological issues. They can use various techniques to explore the possible cause of addiction. Be it depression, money worries, upbringing, amongst other areas. People with a dependency receiving help will routinely be cared for as an inpatient in a residential rehab clinic, treated on a one to one basis or as part of group therapy. Counsellors and therapists may talk about the personal problems an addict has experienced, which may have contributed to their dependency on drugs. Generally, a heroin addict requiring help could have a 28 day stay in a drug rehab clinic. The recovery programme could consist of numerous treatments. They can extend from one to one counselling and group therapy to mindfulness, acupuncture, holistic programmes, yoga, meditation, cognitive behavioural therapy and 12 step guide, amongst other elements. People living with addiction will be cared for by highly qualified medical staff, counsellors and psychiatrists, experienced in dealing with detox. Treatment covers every aspect of heroin addiction. They will focus on how it affects a person’s life on a psychiatric, spiritual and physical basis, utilising an all-encompassing physical and mental health programme. Our experts appreciate that many people requiring treatment for heroin addiction may also have psychological and physical issues to deal with. We offer an exceptional aftercare service, providing our clients with the resources, care and support they require to continue their treatment after leaving rehab and carrying on the battle at home. There are many ways of fighting heroin addiction, but DetoxPlus will always be at the forefront of treatment. If you would like to know more about the heroin detox therapy we provide to send you on the road to recovery, please get in touch.